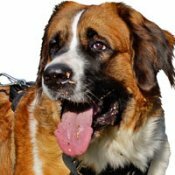 Some dog owners think that if their pet was taught by a professional dog trainer they don’t need all that dog equipment for safe walking. 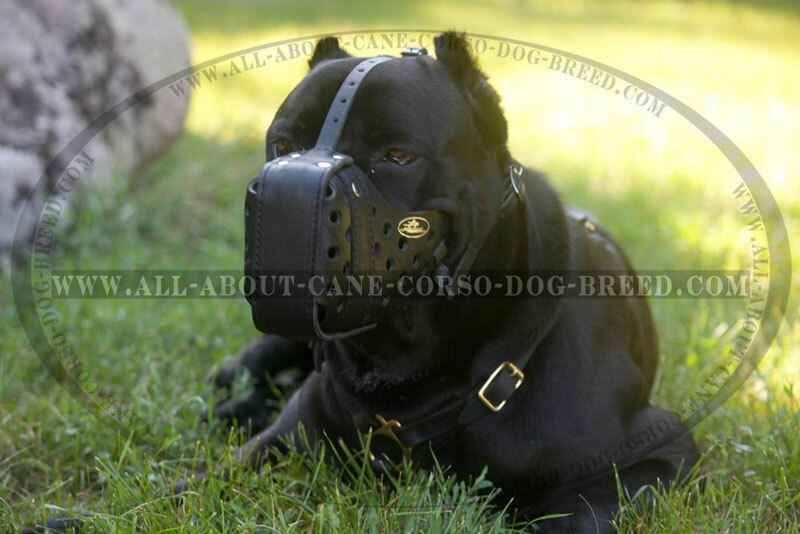 But look at your Cane Corso attentively. Don’t you think that this large dog is stronger than you? And what will you do, if one day you do not cope with its force? It may threaten or even bite some person or animal and you will have lots of troubles and many sleepless nights. Don’t be a careless dog owner! Don’t neglect some simple rules of safe walking! Buy our Walking Leather Muzzle for Cane Corso and you will get thankful glances of the passers-by. 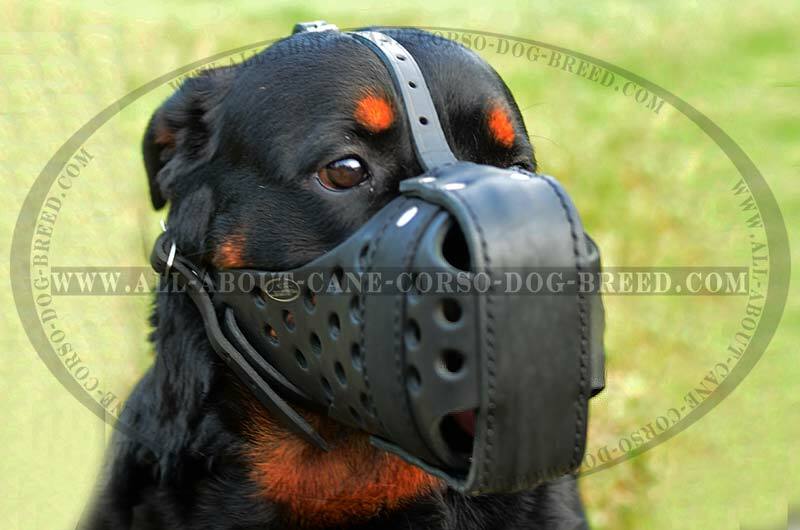 In addition, the nobility of your dog will be emphasized when your dog will be walking with this muzzle on. This model of the dog muzzle is developed for working dogs that are engaged in police and army services. 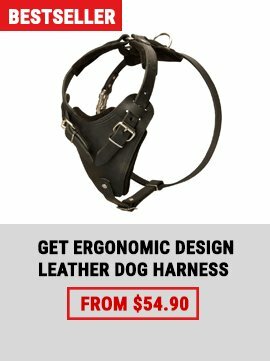 Primarily, this leather muzzle is meant for attack work. 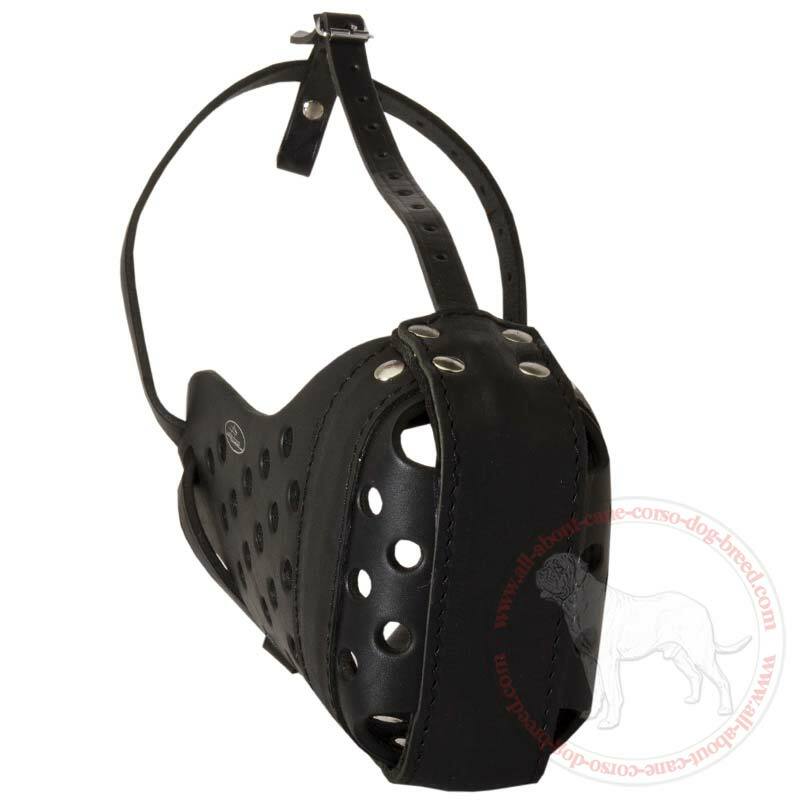 Due to the leather covered steel bar the muzzle excellently maintains its shape and prevents the dog from bad injuries during attack. This dog muzzle is recommended for such dog breeds as German Shepherd, Rottweiler, Bullmastiff and similar. 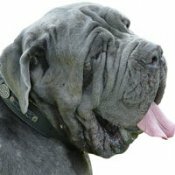 The safety of the muzzle for Cane Corso’s health is obvious. It is made of strong, reliable and non-toxic materials. 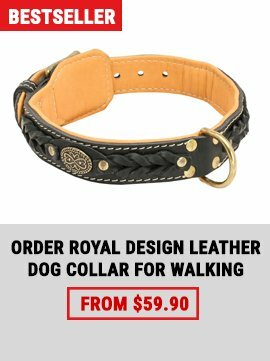 It does not stick to a dog's snout and is perfect for winter walks. 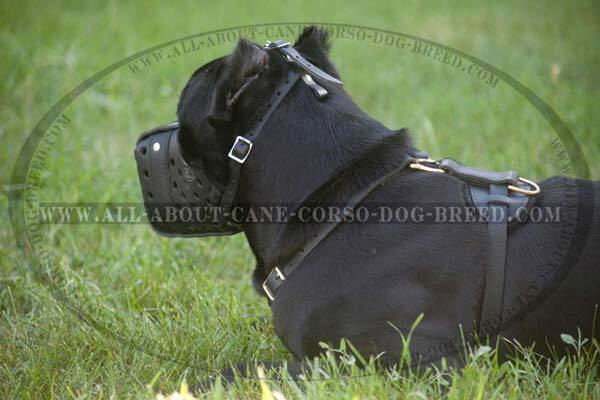 Moreover it does not reflect excessive sunlight in summer.. You can save your money because there is no need to buy several muzzles adapted to particular season. 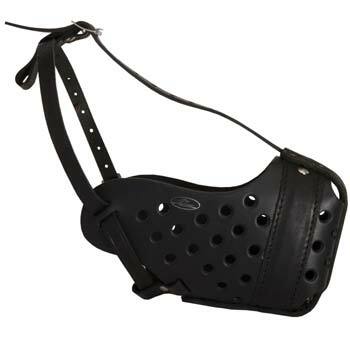 The muzzle has a nose padded area for additional comfort. It prevents the nose from rubbing. 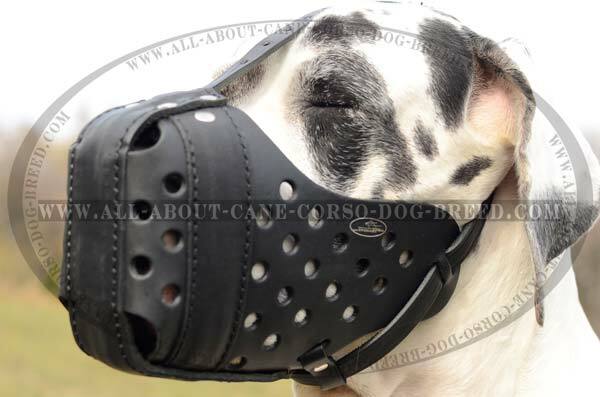 All interior parts of this muzzle are padded with support material to create more comfort for your dog. 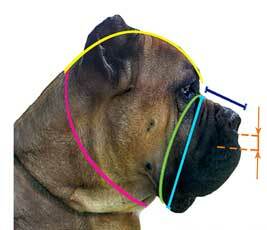 If the muzzle is fixed properly it is difficult for a dog to take it off with its paws. 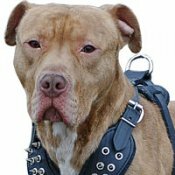 If the muzzle is fixed improperly, there is no guarantees that your dog is safe for people around. It is handcrafted. 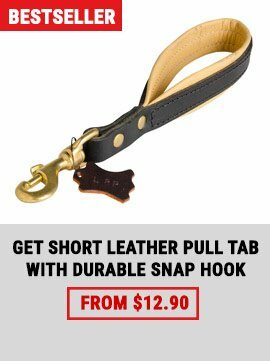 There is a front leather covered steel bar which is glued and stitched for extra durability during agitation/protection work. Good air circulation is based on symmetrically arranged holes of the same size. 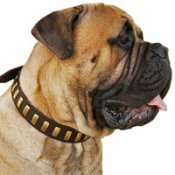 Due to the policies of some transportation companies you will be allowed for transportation of your dog if it is properly muzzled.